This ham is smoked for hours on end, true to North Country tradition. Perfect for a holiday feast, family meal, or crafting the perfect sandwich. Our master butchers hand select lean hams and remove the bone so you get nothing but amazingly moist, delicious meat. This lush ham is naturally tender and ready for slicing onto brunch plates or a very special sandwich. Exceptionally lean pork is selected and brined in a secret blend of spices and maple syrup for days. Once the curing process is completed the Hams are placed in our German smokehouses for hours to in order to deliver a rich smokiness that Chefs search the world over for. The density of the smoke complements the sweetness of the ham to create a truly spectacular ham. Exceptionally lean pork is selected and brined in a secret blend of spices and maple syrup. Once the curing process is completed the Hams are placed in our German smokehouses for hours to in order to deliver a rich smokiness that Chefs search the world over for. The density of the smoke complements the sweetness of the ham to create a truly spectacular ham. 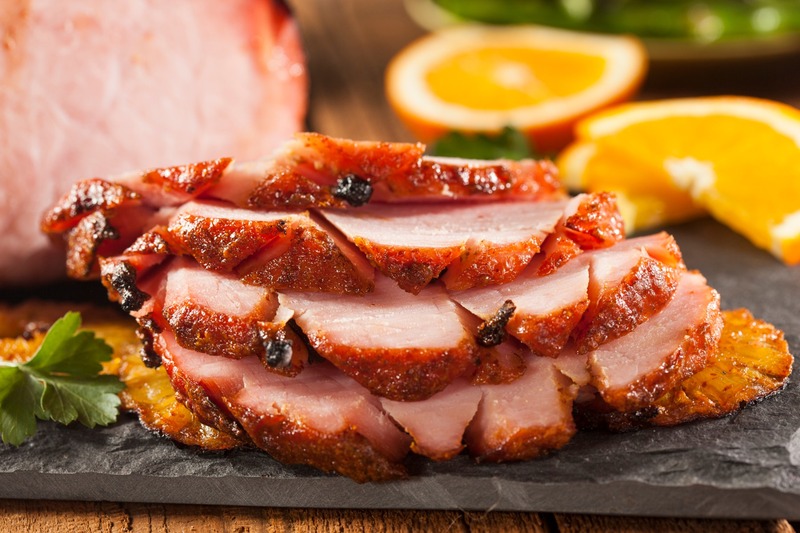 This fully cooked, all-natural offering is unique in the marketplace because we don't use preservatives in preparing pork. It's also Certified Humane, so you won't be asked to choose between your values and exceptional taste with this delectable ham. Down south in hot Creole kitchens, the air is saturated with wonder, slow-cooked patience, and a generous heap of spice. On the countertops of such kitchens you may find an important piece of flavor voodoo: tasso. If you're feeling especially adventurous, use tasso in place of ham to raise the excitement level of chicken cordon bleu, potato-leek soup, or baked bean dishes. This fully cooked all-natural offering is unique in the marketplace because we don't use preservatives in preparing pork. It's also Certified Humane, so you won't be asked to choose between your values and exceptional taste with this delectable ham. Place unwrapped ham in pre-heated 325 oven and heat for approximately 20-25 minutes per pound or until internal temperature is 120.